Ken has been an agricultural journalist for 41 years. 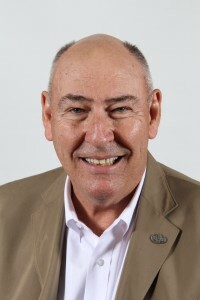 With experience as a broadcaster in Oklahoma, Kansas, Missouri and Iowa, Ken was also the original host of AgriTalk (1994-2001), a daily talk show dealing with issues that affect rural America From 2010-2013 he served as Farm Director for WHO-TV, and from 2005-2010 as the lead farm broadcaster for WHO Radio. Since 1998, Ken has written a weekly column for the High Plains Journal; “The Root Zone” explores agricultural issues of past and present generations. Ken is also an Agri-Pulse Contributor, in addition to his work as a well- known public speaker and emcee. As a reporter, Ken has traveled to over 30 countries, including the Soviet Union, China, Brazil, Turkey and Iraq. He has been part of the international press corps of two U.S. Secretaries of Agriculture: John Block and Mike Johanns. He has twice won the top reporting award in farm broadcasting, the Oscar in Agriculture (1983 and 2008). In 2009 he was named Farm Broadcaster of the Year by the National Association of Farm Broadcasting. 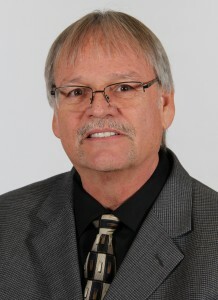 Ken also served as Executive Director of the National AgriChemical Retailers Association (1988-1992) and as the Executive Director of the National Association of Farm Broadcasting (2002-2005). He was named Farm Broadcaster of the Year in 2009. In 2015, he finished first in the Marketcast competition among farm broadcasters and judged by farmers. He recently returned from a USDA trade mission to Ghana in West Africa. Root is married to Jane Ertl and resides in Dyersville. Emery is a Minnesota native growing up on a farm in Dodge County near West Concord. The farm grew corn, soybeans, oats and alfalfa plus ran a small herd of Angus beef cows. 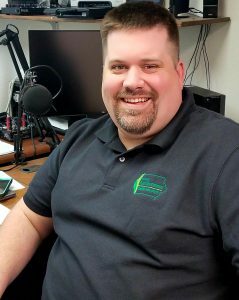 After farming for a number of years on the family farm, Emery started his farm broadcasting career on a station he grew up listening to, KDHL in Faribault, MN. Since that start in 1987, Emery has worked on radio stations and Ag networks in Sioux City, Iowa, West Point and Omaha Nebraska and Minneapolis, Minnesota. Emery has been an active member of the National Association of Farm Broadcasting (NAFB) having served as President in 2005. Emery is an avid gardener and enjoys golf and pepperoni pizza. Emery and his wife Mary Pat have 6 grown children and one growing grandson. Dustin has been in radio for over a decade and a farm broadcaster for four years. In that short amount of time, Dustin’s work has been recognized at the local, state and national levels. Dustin was the 2016 Minnesota Farmer’s Union Ag Communicator of the Year and the 2017 recipient of the Doan Award. Dustin’s listeners have appreciated that he tells agriculture’s story from a personal and relatable point of view. Dustin is the network’s broadcast supervisor and oversees all day-to-day programming functions. He is a member of the National Association of Farm Broadcasting. Anna is a Harlan, IA native. 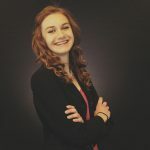 She graduated from Northwest Missouri State University in May 2017 with a Bachelor’s of Science in Multimedia Journalism. She began her radio career as a Sunday news broadcaster at KSOM/KS957 in Atlantic. In college, she worked at the university’s college radio station KZLX and their NPR affiliate KXCV/KRNW. She also wrote the school’s award-winning newspaper the Northwest Missourian. In her spare time, Anna enjoys reading, running, tending to her alpacas and travelling. 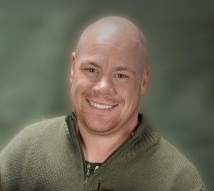 Chris has been with the Iowa Agribusiness Radio Network since its’ inception. He is a New England Native who currently resides in Connecticut with his wife Michelle and their three children. In his spare time, you will likely find him at one of the kids extracurricular activities.